The 13th Pravasi Bharatiya Divas is historic in many ways. It is the first PBD to be held in Gujarat, the first to be conducted by the government led by Prime Minister Narendra Modi and also marks 100 years of Mahatma Gandhi’s return to India. 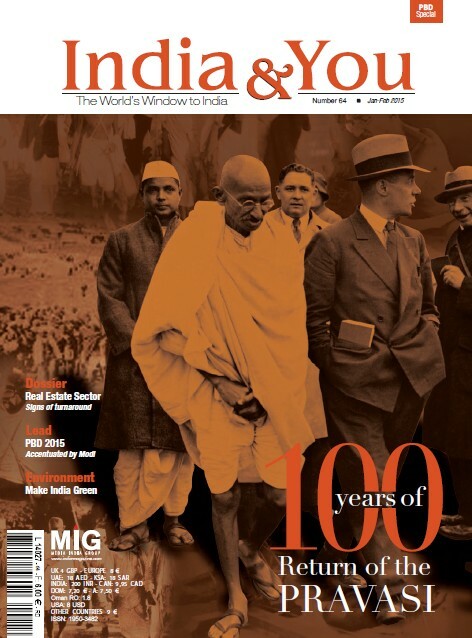 The issue of the magazine is centred on these historical marks, covering ‘real estate’ as dossier with the interviews of key players of the industry; focussing on Mauritius – ties with India, Sushma Swaraj’s visit to Mauritius. In addition, you will find more about the venue of the event – the heritage walk of Ahmedabad and its cuisine. Centenary commemoration of Indian Soldiers in WWI Baggage of Indian culture Reunion Island: A forgotten Diaspora?